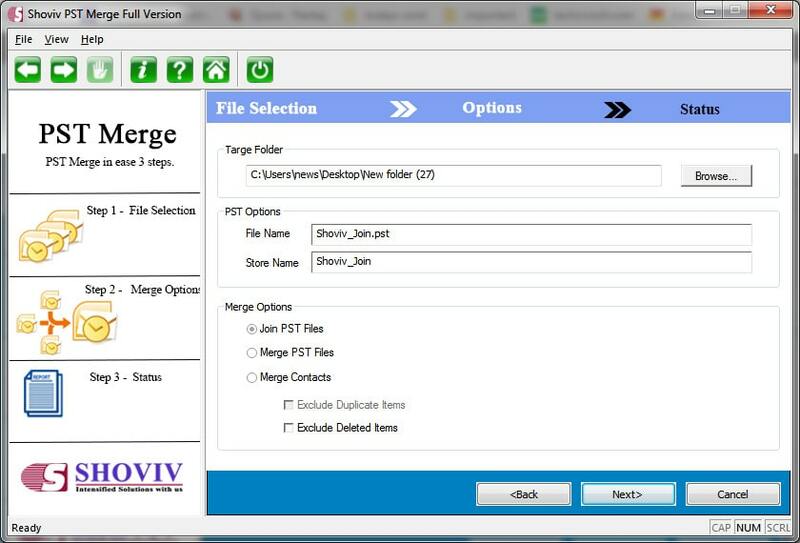 *Free Download allows to convert & save 25 items/folder from PST Merge. The software offers an amazing option of merging multiple PST file at a time. Means, if you have more than one PST file to be merged, you do not have to merge it again and again. On the contrary, all could be combined at a time, by importing the file in software one after one in a single attempt. 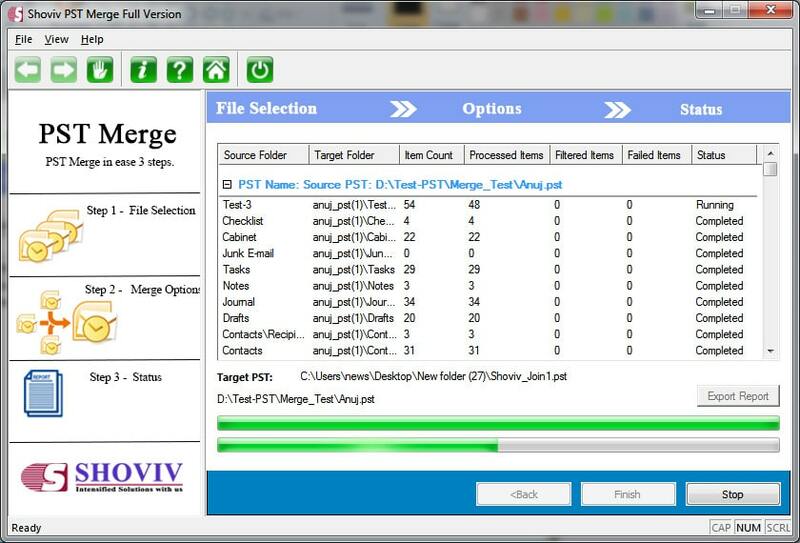 The software PST merge, allows you to merge data of two or more PST files easily. It merges the similar folder like contacts of two or more PST will be merged to create one folder of contact and the thing same happens with other folders as well, such as inbox, outbox, sent items, trash and other folders. The software is able to merge, a large number of PST file to create one and combine all the data of different folders together. While merging the data, it keeps the properties of mail intact, no changes are being made in it after the merger. All items like emails, contacts, calendars, etc will be merged without making changes in that. If you want to merge the contacts of different PST files into one exclusively, then the software has the option merge PST contact. With the use of this option, all the contacts present in different PST files will come together. No change in the meta properties of contact folder happens during the merge process. When multiple PSTs will be joined using this option, then a new PST file is created along with new folders to save the data of all PST files. The folder name for the PST file will be the similar as it was for the PST files those were joined together. You can see the progress report of merge process, while software merges the data, before the final joining of data is done. This helps you to make changes in the process if required. Moreover, the data can be saved in existing PST files or to the new one. If you have both ANSI and UNICODE format of PST file, then also you can combine both the files easily. The software allows you to combine ANSI as well as UNICODE PST file. The PST merge software runs smoothly on all versions of Windows. Therefore, you can install it on your PC without any hiccups. From earlier to older version of Windows OS can be used with our PST Merge application to merge PST files. No matter if the PST files you want to merge are of small size or became bulky, the process of merging them will not be disturbed in any manner. So, get the PST Merge tool to overcome the hinderances you are facing while using the Outlook PST files. What will happen to the original PST files? The PST merge software mere take the data from the file to merge with other files without defaming the original format of PST file. Thus, it remains the original file after the merge process. What to do, in case of data loss? The PST merge software ensures no data loss at any cost, that’s the reason behind it is originated with the feature of real-time merging process previewer. What size of PST will be created? The size of new or existing PST File will remain in the safe limit to avoid corruption in the file. Furthermore, you can talk with our 24*7 technical support team anytime. Do I need any technical support to operate this software and to merge different PST files? The software has very user-friendly graphical interface. Hence, there is no need any technical expertise during software operation. Though we provide an instruction guide to operate it more excellently. Will PST merge software repair and merge damaged PST files as well? The condition of merging PST files is that it should remain in the healthy state. However, you don’t have to stress of the PST file size. 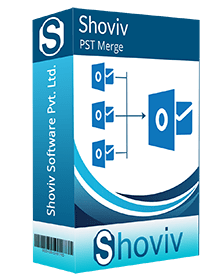 You should try Shoviv PST repair software to repair damaged PST files. Then simply merge PST file with the software.